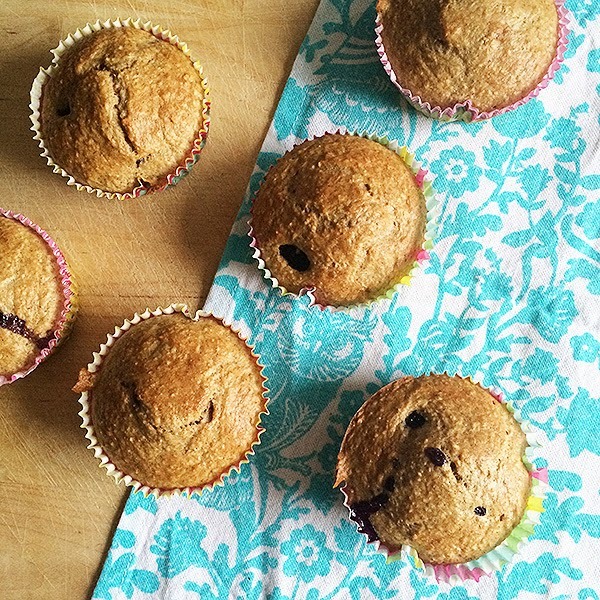 For our roadtrip to Doel, I made these delicious breakfast muffins to take with us in the car. They're super easy to make and really tasty, even after 3 days they're nice and moisty with a crunchy top. 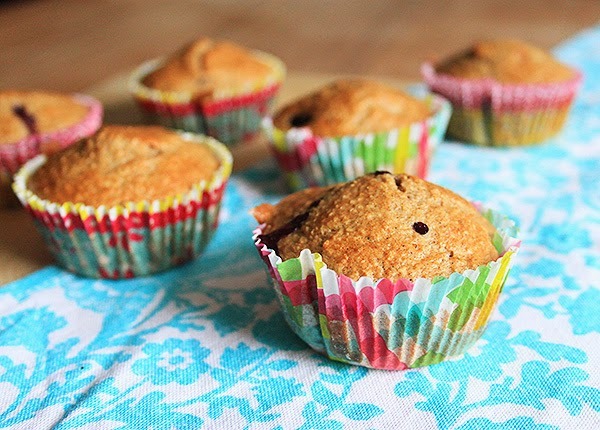 Preheat your oven to 180 degrees Celsius and put cupcake liners in your baking tray. Put all the ingredients except the blueberries in a blender and blend it until you've got a smooth mixture and divide the mixture between the cups. Push the blueberries into the mixture until they're covered. 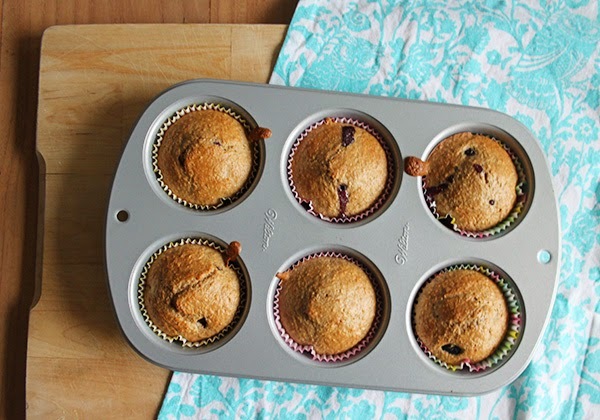 I've used 4 to 5 blueberries in a muffin. Finally, put them in the oven for 30 minutes. Make sure they're cooled down when you try them, because when they're a bit warm, they're to sticky to get the paper cups of!